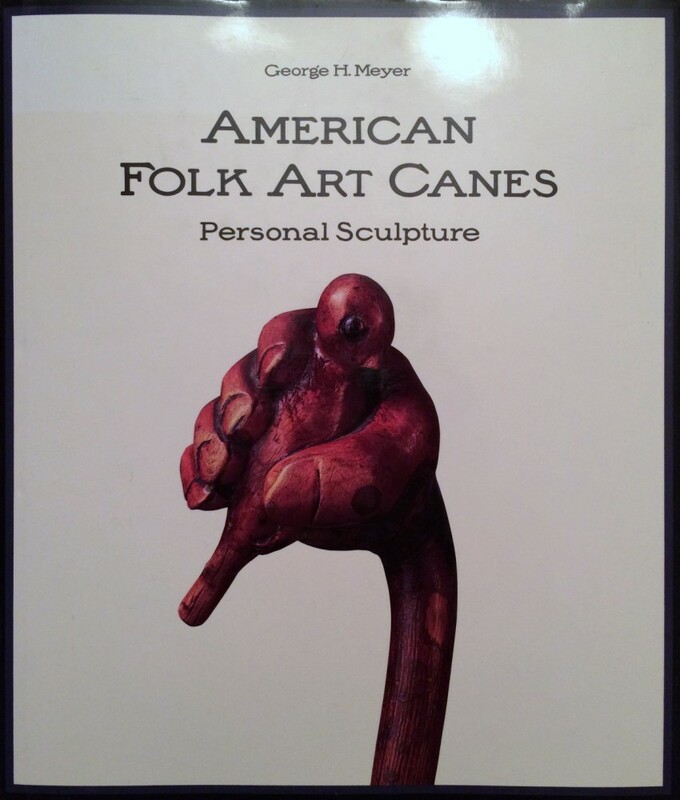 American Folk Art Canes: Personal Sculpture by George H. Meyer. 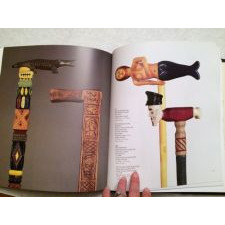 Published by Sandringham Press in association with the Museum of American Folk Art and the University of Washington Press in 1992. 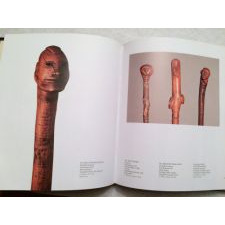 Published in conjunction with an exhibition by the same name that took place at The Museum of American Folk Art in New York from June 4 to September 14, 1992. Hard cover with dust jacket. In As New condition. 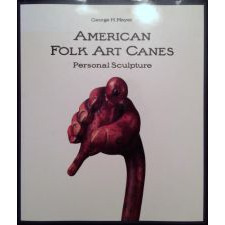 A very cool book covering a terrific branch of American folk art. 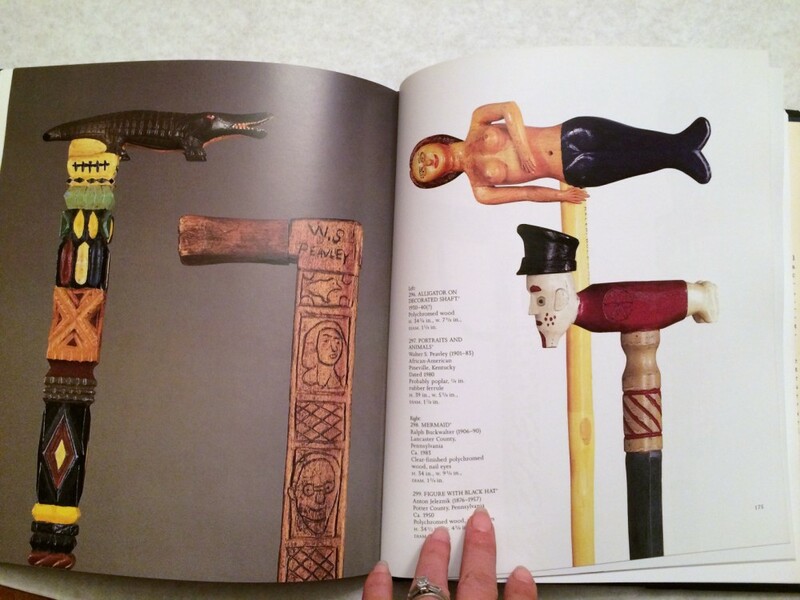 The creativity employed in the creation of these folk canes is amazing--from the use of animal forms and details, to the application of inlays, paint, or bling. There are 22 chapters, with topics such as Snakes and the Natural World, The Human Form, Daily Life, Contemporary Canes, and Politics-Patriotism-and the Millitary. 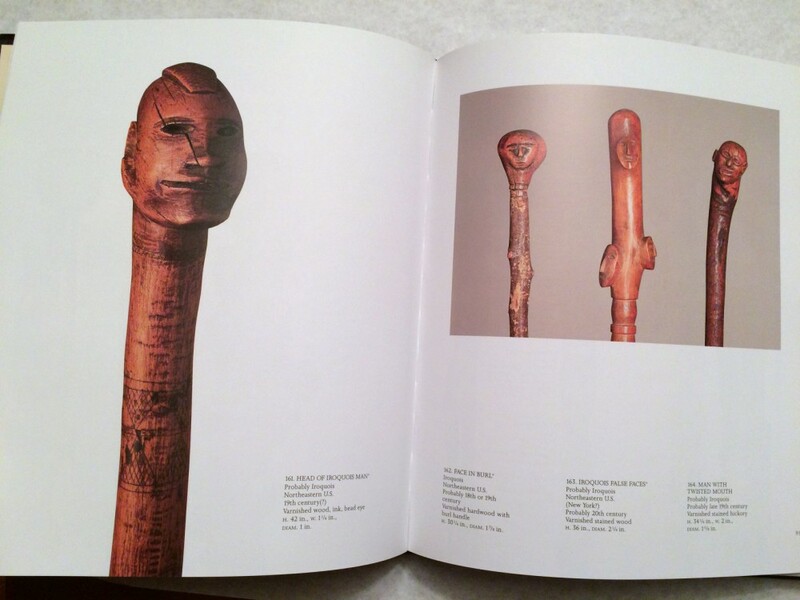 Several chapters include essays by experts on Themes in Contemporary Folk Canes, Civil War Veterans Canes, Fraternal Motifs in Canes, American Indian Canes: Iroquois and Sioux Traditions, Dating American Canes, Defining the African-American Cane, Tapping at Art's Door, and a chapter devoted to Documentation.